Platinum Trailers in Brits is one of the leading truck body and custom trailer manufacturers in South Africa with new trailers for sale (livestock trailers, commercial trailers) to clients in Gauteng, North West, Limpopo, Mpumalanga, Kwazulu Natal, Free State, Eastern Cape, Northern Cape, Western Cape with exports to Botswana, Lesotho, Mozambique, Namibia, Zambia and Zimbabwe. 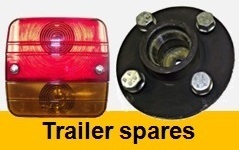 Trailer spares, parts, axles and accessories are available and we do maintenance, service and repair trailers at our factory for customers in Brits, Pretoria, Johannesburg, Midrand, Centurion, Rosslyn, Rustenburg, Witbank, Bronkhorstspruit, Rayton, Hartbeespoort etc. New trailers for sale range from car trailers, bobcat, game, forklift, quad bike, water tanker, Diesel tanker, flat deck, mini flat deck, maxi sides, farm, sheep, general purpose, cattle, fire fighter, waste recycle, cold room, mobile toilet, catering, luzern trailers and many more. 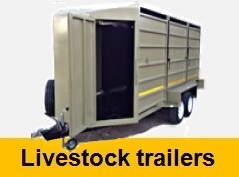 There is no need to buy a stock trailer as we can design and build a trailer to your specifications and needs. Build quality is excellent and our well trained technical staff will assist in the choice of a suitable trailer for your application. 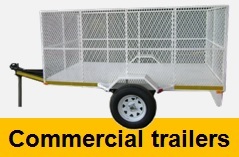 Our affordable trailers and truck bodies are brand new and manufactured from top grade steel and components in our own plant in Brits according to SABS specifications and the standards of the National Road Traffic Act. Platinum trailers keep a large variety of trailer spares and parts in stock to replace, repair and service most trailers manufactured in South Africa. We do exports of parts to Botswana, Lesotho, Mozambique, Namibia, Zambia and Zimbabwe. Spares include leaf springs, coil springs, spring bolts, drop side and long leaf hinges, axles, mudguards, tail lights, light brackets, license disc holders, chevrons and many more. Platinum Trailers provides full after sales service, maintenance and repairs on all trailers and truck bodies in South Africa. Contact our experienced technicians at the Brits factory workshop for an appointment and quote to put your trailer back on the road quickly.